Click 'Learn More' and add your details. This will give you access to comprehensive information about this opportunity. Metals House (MH) arbitrages the pricing spreads between physical precious metals (gold & silver) as commodities and physical precious metals as currencies. The Company purchases dore bars, bullion, bulk scrap jewelry and government minted gold and silver coins globally. The Company verifies the purity of precious metals purchased and then outsources to a third party to refine the precious metals and then sells good delivery bars and minted coins to clients worldwide. Approximately 95% of the total capital base is backed by physical precious metals (gold & silver) inventory and USD currency. With operating subsidiaries in both supply and demand countries, Metals House can source and deliver precious metals through its operating subsidiary MHGS Trading in the Dubai Multi Commodities Center (DMCC). Transaction description: Metals House, Inc. is seeking to raise $150,000,000 in debt to fund the company’s purchase of physical gold, pay for working capital and partnership compensation. (a)	Physical gold held in inventory that will be traded for profit. Physical precious metals inventory is always hedged against market fluctuations. 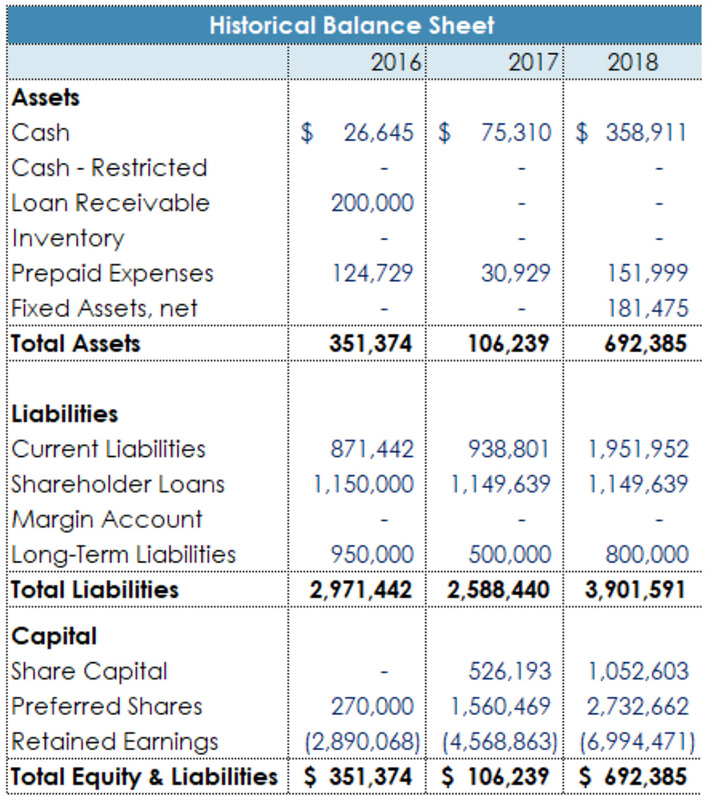 (b)	Allocated to working capital requirements. (c)	Allocated to compensate USCGS for assisting in the Coin Offering. •	Foreign exchange spreads captured by transacting in local currency and settling in U.S. Dollars. In addition to earning positive spreads, another key operating metric is turnover, the number of times that a given source of precious metals is traded in a monthly period. 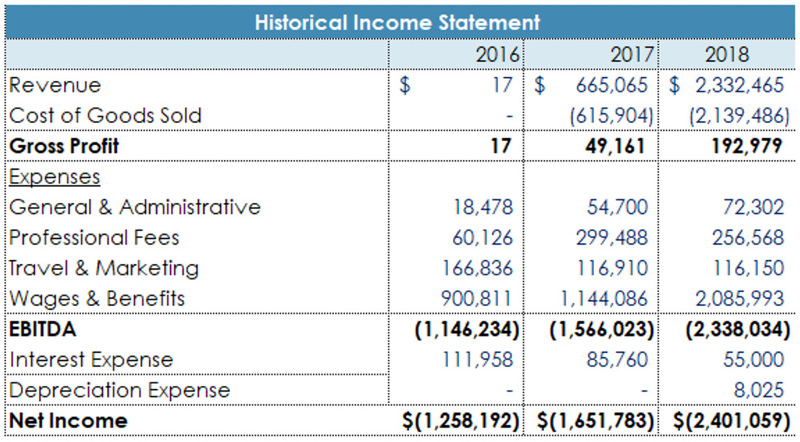 Accordingly, revenues are based on both spreads and turnover. Metals House also earns revenues from trading Gold Dore, Bullion, Scrap and Coins sold to bullion banks, commercial clients, jewelers, wholesalers and investors. The Company's precious metals trading to date has been limited in scope with small quantities of physical gold traded while infrastructure has been put in place in preparation of full scale operations. The Company's continuing operations are not dependent on funds raised through this offering, due to other external financing. Metals House intends to partner with OpenRisk, currently with a Memorandum of Understanding, as its Blockchain Technology Advisor to integrate Blockchain technology into Metals House's operational infrastructure and processes. The OpenRisk platform utilizes a Semantic Web based design. OpenRisk provides the ability to capture and link data leveraging blockchain to provide full, end-to-end, and real-time transparency into Metals House's supply chain process. The product also provides the ability to integrate with on- and off-blockchain processes as necessary (e.g. KYC and AML). The product combines three modular components built on blockchain: 1. rationalization and digitization of agreement terms from ‘paper’ to smart contracts; 2. Automation of supply chain process workflows; and 3. Generation of on- and off-blockchain transactions. The Token is an ERC-20 compliant Token that will be incorporated into the Ethereum blockchain. The Token is not a medium of exchange (like Bitcoin) or a utility token. Rather, it is a token debt security. The Token represents secured indebtedness of the Company, except for the Gold Backing. As a result of the Gold Backing, the Company will store gold as partial asset backing for the Token without which the Token is secured. The Token will be treated as a security, and follow the rules and regulations of the Securities and Exchange Commission and other applicable securities laws governing the issuance and transfer of securities. The proceeds generated by the sale of the Tokens will be used to acquire additional gold inventory. •	Inventory Gold: The Company will purchase gold with 70% of the purchase price of the Tokens and may trade such gold. •	Gold Backing Increase: The Company intends to increase the gold securing the note by purchasing gold equal to 6% of the purchase price of each Token on each anniversary date of the Token purchase, for a period of five years, with 100% of such gold held in inventory that may be traded. • The Company will pay a quarterly cash coupon at the rate of eight percent (8%) per annum on the purchase price of each Token. •	The Token may be redeemed by the Token holder after 5 years and thereafter, the Token renews automatically for additional one-year terms. If not redeemed, the Company will continue to pay the Cash Coupon within two business days following each anniversary date of the Token. Token holders may elect to redeem the Tokens as described below. •	Only prospective investors, who have completed the Company's AML and KYC policies and procedures will be entitled to become Token Holders. Thus, all Token Holders, by definition, will be entitled to receive payments in connection with the Cash Coupon or a Repayment. •	No Cash Coupon or Repayment will be paid or payable to anyone other than the Holder of record and, in the case of payments in cash, will only be made to the bank account from which the Purchase Price was sent (subject to the Company's AML and KYC policies and procedures). Securitize, Inc. is the Company’s token issuance partner and has worked with Metals House to structure the Token, and the protocol and network governing the Token. Metals House aims to fill the gap in the market by offering a professionally-run, institutional trading firm. •	The commercial physical gold market is local and highly decentralized. Most gold trading firms are small, undercapitalized and unable to comply with the hugely restrictive compliance and regulatory requirements of large bullion banks. • Bullion banks are highly regulated global corporations. 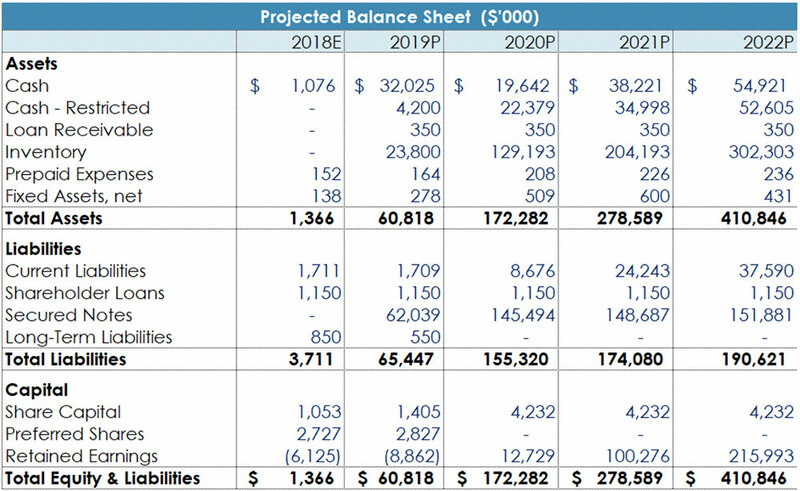 They cannot deal directly with these smaller counterparties and may need a firm like Metals House to move/rotate their physical precious metals inventory to generate transactional revenue. This “regulatory arbitrage” ensures ongoing demand for the Company’s products and services. •	Metals House's "miner-friendly" terms present placer and artisanal miners with clear visibility into their pricing model and eliminate the need to deal with unethical buyers who frequently modify deal terms once the metals are delivered². •	There is a strong consistent demand for physical precious metals, particularly in Asia. Metals House is well positioned to meet this demand, and its market neutral approach allows it to provide institutional quality services to suppliers and customers². Mr. Michael began his career at CIBC World Markets, in Toronto, where he established and successfully managed the firm’s first commodity and foreign exchange proprietary trading desk. Subsequently, he held senior commodity and foreign exchange trading positions at Lehman Brothers, Standard Bank and Graham Capital Management. More recently, Mr. Michael acted as Chairman and CEO of a DIFC based investment banking firm. Mr. Michael has successfully founded and managed both investment firms and traditional companies. Mr. Michael holds an Honours in Business Administration (HBA) degree from the Ivey Business School at the University of Western Ontario. Mr. Shahin has 25+ years' experience in the global physical and financial precious metals markets. He began his career at CIBC World markets in Toronto on the spot gold desk before moving to Republic National Bank (RNB) in New York as Chief Dealer; at the time, RNB had the largest gold desk in the world. Mr. Shahin then held a similar position at Lehman Brothers in New York prior to joining Rudolf Wolff and Co, in London, a founding member of the London Metal Exchange. In 2000, Mr. Shahin moved to Dubai with ARY Traders where his strong governance polices, risk management programs and hedging/trading strategies enabled ARY to become one of the major physical gold trading firms in the region. Mr. Shahin served on the DMCC Gold Advisory Board, 2002-2007; and holds a BSc. in Civil Engineering from University of Texas at Austin. Mr. Olson began his career at PricewaterhouseCoopers, a premier global services provider. In 2002, he joined Bank of Bermuda, a subsidiary of HSBC servicing a variety of clients in the hedge fund industry. In 2006, Mr. Olson returned to Canada to manage the corporate reporting for Zi Corporation and Brookfield Renewable Energy Partners LP., publicly traded companies engaged in the software and renewable energy sectors. In addition, Mr. Olson has worked on a number of consulting engagements in the hedge fund and technology sectors. Mr. Olson has received the designations of Canadian Chartered Professional Accountant and Chartered Financial Analyst. The Company's primary security partner is Loomis International (“Loomis”). Loomis is the leading specialist for international valuables logistics solutions. Full insurance coverage is provided for precious metals entrusted to the Company, whether in transit or in vaulted storage. Under the current agreement, the Company is insured up to USD 20 million per shipment or 500Kg of gold per shipment. Loomis is willing to raise the number to USD 80 million per shipment upon request. In addition to the Company's policy documentation, an Insurance Confirmation letter provided by Loomis maintains Marsh Ltd., as their Insurance Broker in London. Their primary insurer is 100% XL Insurance Company SE. •	Zero Financial Leverage: Metals House assumes no financial leverage offered by the multitude of financial derivatives. •	Hedging Program: Metals House hedges its precious metals inventory with futures and forward contracts. Metals House does not speculate on precious metals price direction. • Counterparty Risk: Metals House assumes no counterparty risk as it only executes spot transactions with its suppliers and customers. Metals House does not sell precious metals on credit. Gold and silver are highly liquid regardless of market conditions. In fact, gold is one of the few commodities whose market value can exhibit countercyclical tendencies. • The digital asset market is nascent and unregulated and subject to enforcement by regulatory authorities. • You may not be able to sell Tokens for an indefinite period of time (and in no event, sooner than one year). • The Tokens may be lost or hacked. • Confidence may be lost in the market for Digital Assets or the Ethereum network. • Taxation of digital currencies. • A secondary market may not develop for trading of the Tokens. • The provisions of the smart contract may not be implemented accurately and cannot be confirmed. • The terms of the Token do not restrict the Company’s ability to incur additional indebtedness. • The Company may not be able to repurchase the Tokens upon a Change of Control. • The Company may face liquidity issues and be unable to pay the principal amount of the Tokens, or the accrued and unpaid interest thereon, when it is due. • The Company faces strong competition. • Company’s success is dependent on its founders and key personnel. • Failure of the Company to manage its growth effectively could harm the Company’s business and operating results. • Breaches in data security or other disturbances to the Company’s information technology and other networks could impair its operations and have a material adverse impact on its business, financial condition and results of operations. • Conducting business internationally may result in increased costs and risks. • The Company may be unable to meet its interest payments. • Company may be unable to cover increase in gold backing to 100% from initial 70. • Supply of gold may not keep up with company inventory demand. • Gold may decline in value. • Regulations on the international trade of gold may change, negatively effecting the business. • Political unrest in trade countries could affect the supply of physical gold. Metals House operates in a well-established regulatory environment, especially when compared to cryptocurrencies whose regulatory environment, if any, is in its infancy. 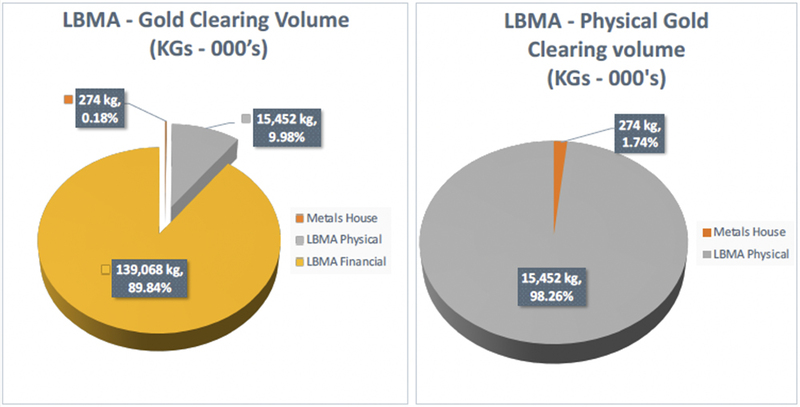 •	Metals House only conducts business with refiners that meet the standards to be on the LBMA Good Delivery List. •	Metals House operates within the Dubai Multi Commodities Centre (“DMCC”), and is subject to all DMCC’s regulations and By-laws. • Metals House trades precious metals in Brazil, and therefore, is subject to its various regulators. The Brazilian operations are strictly managed by local personnel who have the requisite knowledge required to navigate the regulatory landscape. • Metals House expects to be subject to the various U.S. federal regulations which include the SEC and the Dodd-Frank Act. In conducting its operations, Metals House has structured its operations to minimize the effect of U.S. regulations. 1. Statements and values provided by Metals House Inc.
4. Internally Prepared unless otherwise noted. 5. As Provided in Signed Storage Agreement Loomis, Signed Addendum Storage Agreement Loomis, Signed International Transport Agreement Loomis 2018 Confirmation of Insurance Marsh – Loomis.